MongoDB is a cross platform, free and open-source, document-oriented NoSQL database management system developed by MongoDB INC. It uses JSON like documents with schema. It is published under GNU Affero General Public License and the Apache License. 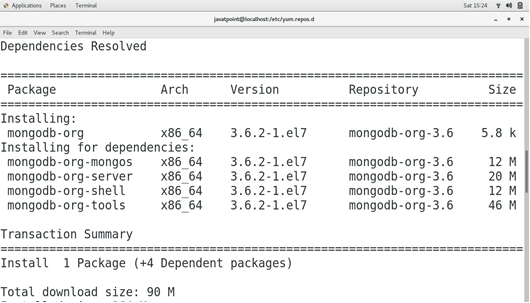 In this tutorial, we will install MongoDB on CentOS 7. 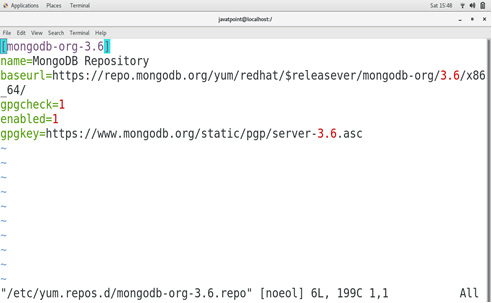 Create a file named as /etc/yum.repos.d/mongodb-org-3.6.repo and add the text details shown in the image. 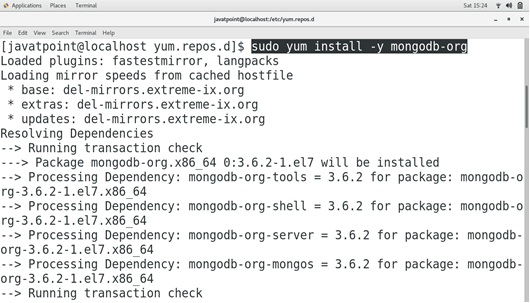 Use the following command to start MongoDB server. 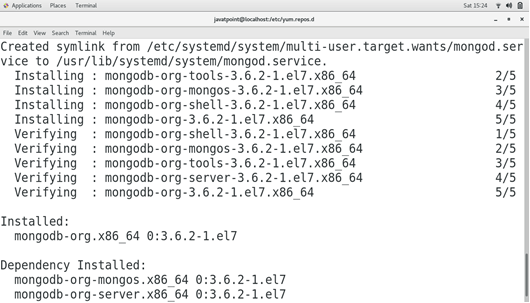 Use the following command to connect the MongoDB server. 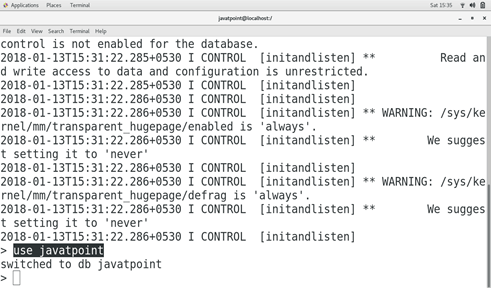 Just type use <database-name> (javatpoint in my case) to create a MongoDB database. 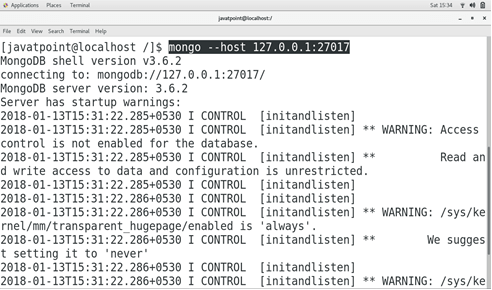 Use the following command to stop MongoDB server. Use the following command to restart the server. Hence, we have successfully installed and get started with MongoDB.